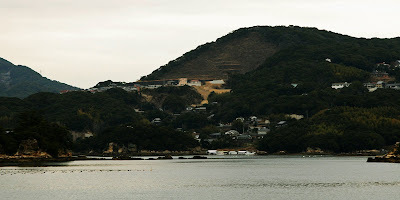 The last day we were in Sasebo we took a cruise of Kujuku Shima. This means 99 Islands. 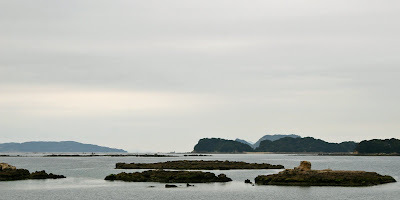 There are actually over 200 islands here but kujuku also means too many to count. 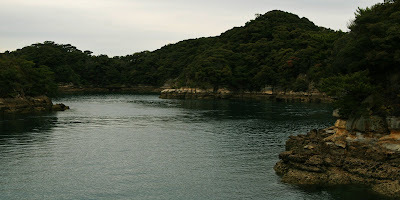 We took pictures of these islands a couple of days before from the over look in Kashimae. It was a fairly lousy day but I did manage to get a few pictures worth posting. This is a very pretty area. The water is very clear. 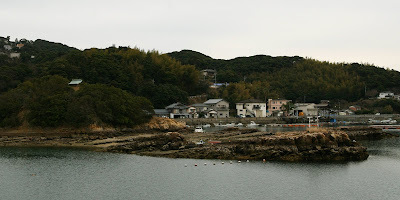 The Japanese farm oysters here besides the normal fishing. Here are a few more. 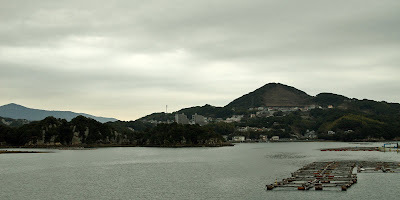 The day was very overcast, windy and cold. I got quite cold standing on the deck taking pictures...it is winter here. I would like to go back here on a nice day. 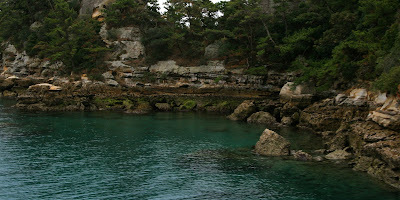 It is a pretty area.